Although prevalence in Medieval art testifies to their popularity, very few original falchions still exist. 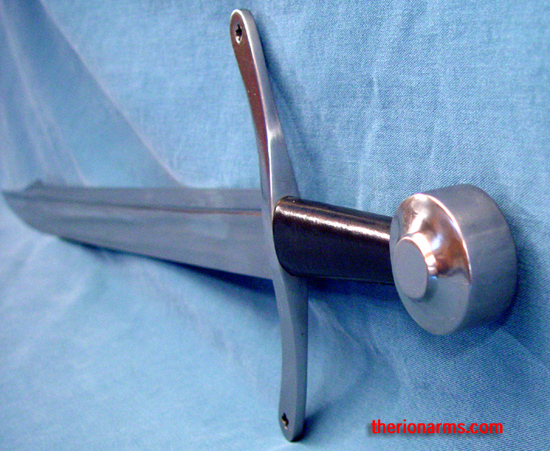 This reproduction of a classic falchion circa 1250-1350 is based on the Thorpe falchion housed in the Norwich Castle museum, and is of a type that was favored by a great many knights and men at arms. 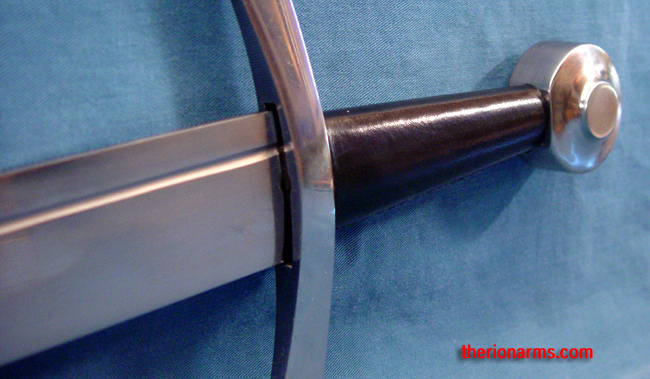 The wide cutting blade was quite effective against maille and padded armor (in the early and mid 1300's, maille armor was in transition to plate, but only the very wealthy could afford it). 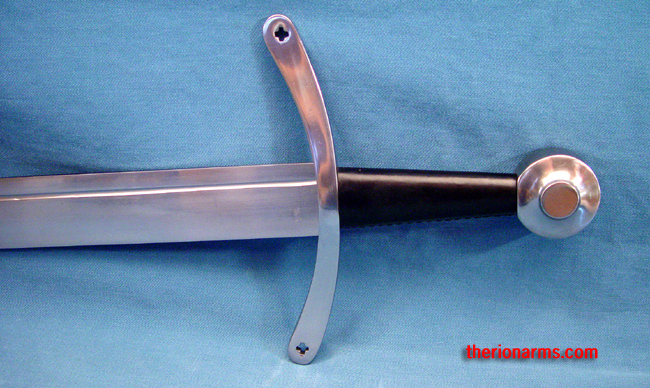 Although the falchion was intended primarily to be a cutting weapon, the development of the point was not ignored. This example has a very strong point that would penetrate maille. 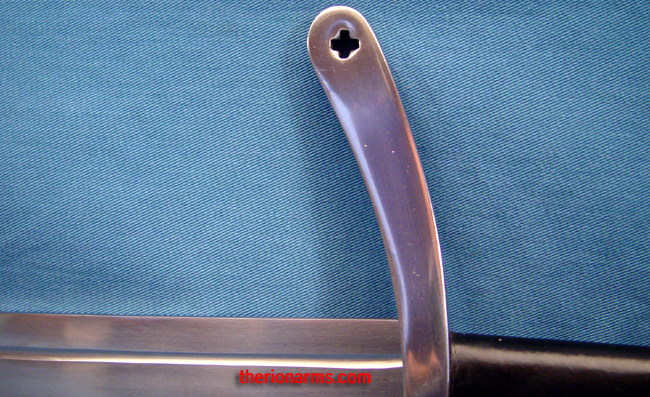 The blade is tempered high carbon steel, the fittings are steel, and the grip is wood covered with leather. 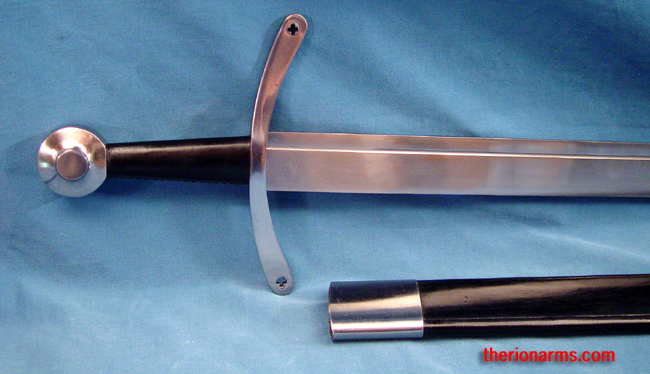 Comes complete with a leather scabbard with steel fittings. A well-designed fighting weapon.